I attended the Attorney General and state Bar hearing as to the intervention of the state bar into the law practice of Mitchell Stein and the K2 mass Joinder cases in Los Angeles in front of Judge Johnson. The tentative was a scathing implication of Mitchell Stein and his purported involvement with the “marketing companies” and the allegations of unfair business practices all needed for the AG and the State Bar to step in and confiscate 1.6 million in various accounts. I was there to opine the status of the case itself and the merits of the cases and as to the victims rights as against the banks. If the Bar took over the practice would they defend the cases would they protect the victims right. No they are not; right now they the State Bar are telling the victims they are on there own. Once again these suits I have been following and hoping could get past the Demur stage the Banks would be forced to answer. Then there would be motions for Summary Judgement and if the Victims could survive the Summary Judgement and thousands of requests for admissions and interrogatories propounded on the thousands of plaintiffs. It could be done I would have to associate about 10 other lawyers and 30 paralegals but it could be done for about $700,000.00. Then I believe the Banks would enter settlement negotiations with the victims witch I calculate to be about 6500 victims to date. The case at the core of the Kramer and Kaslow mass joinder lawsuit is: Ronald vs. Bank of America. 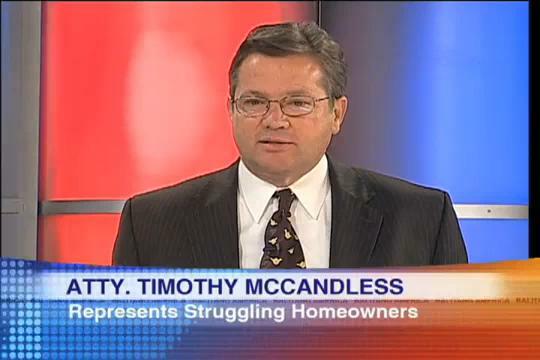 Basically, the case accuses Countrywide (subsequent cases being filed include Citibank, One West, GMAC/Ally Bank, and perhaps others) of perpetrating a massive fraud upon homeowners by knowingly inflating appraisals, creating a bubble the bank knew would pop and leave homeowner equity devastated, violate privacy statutes, and then Civil Code sections when they refused to modify… you get the idea. The case says that Countrywide execs knew and did it anyway in order to make zillions of dollars securitizing the loans and therefore only others would incur the future losses. 2. This action seeks remedies for the foregoing improper activities, including a massive fraud perpetrated upon Plaintiffs and other borrowers by the Countrywide Defendants that devastated the values of their residences, in most cases resulting in Plaintiffs’ loss of all or substantially all of their net worths. 6. Hand-in-hand with its fraudulently-obtained mortgages, Mozilo and others at Countrywide hatched a plan to “pool” the foregoing mortgages and sell the pools for inflated value. 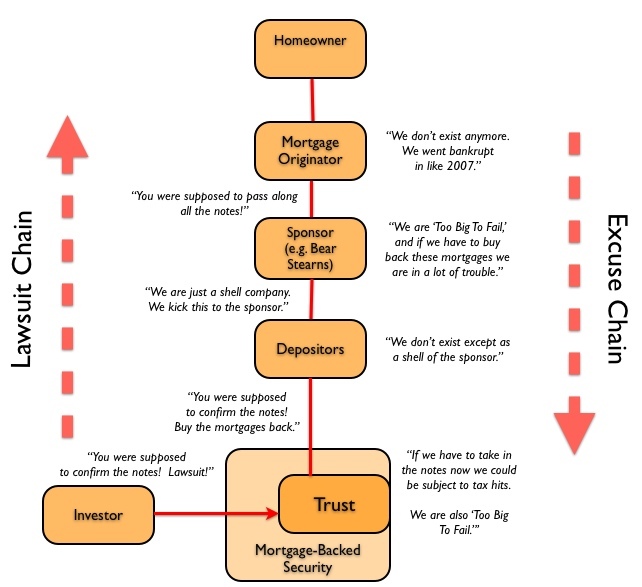 Rapidly, these two intertwined schemes grew into a brazen plan to disregard underwriting standards and fraudulently inflate property values – county-by- county, city-by-city, person-by-person – in order to take business from legitimate mortgage-providers, and moved on to massive securities fraud hand-in-hand with concealment from, and deception of, Plaintiffs and other mortgagees on an unprecedented scale. 7. From as early as 2004, Countrywide’s senior management led by Mozilo knew the scheme would cause a liquidity crisis that would devastate Plaintiffs’ home values and net worths. But, they didn’t care, because their plan was based on insider trading – pumping for as long as they could and then dumping before the truth came out and Plaintiffs’ losses were locked in. 9. It is now all too clear that this was the ultimate high-stakes fraudulent investment scheme of the last decade. Couched in banking and securities jargon, the deceptive gamble with consumers’ primary assets – their homes – was nothing more than a financial fraud perpetrated by Defendants and others on a scale never before seen. This scheme led directly to a mortgage meltdown in California that was substantially worse than any economic problems facing the rest of the United States. From 2008 to the present, Californians’ home values decreased by considerably more than most other areas in the United States as a direct and proximate result of the Defendants’ scheme set forth herein. This massive fraudulent scheme was a disaster both foreseen by Countrywide and waiting to happen. Defendants knew it, and yet Defendants still induced the Plaintiffs into their scheme without telling them. 10. As a result, Plaintiffs lost their equity in their homes, their credit ratings and histories were damaged or destroyed, and Plaintiffs incurred material other costs and expenses, described herein. At the same time, Defendants took from Plaintiffs and other borrowers billions of dollars in interest payments and fees and generated billions of dollars in profits by selling their loans at inflated values. 14. Since the time Plaintiffs filed the initial Complaint herein, Defendants’ improper acts have continued, including, inter alia: (i) issuing Notices of Default in violation of Cal. Civil Code §2923.5; (ii) misrepresenting their intention to arrange loan modifications for Plaintiffs, while in fact creating abusive roadblocks to deprive Plaintiffs of their legal rights; and (iii) engaging in intrinsic fraud in this Court and in Kentucky by stalling in addressing Plaintiffs’ legitimate requests to cancel notices of default and for loan modifications, and by refusing to respond, in any way, to Plaintiffs’ privacy causes of action. Now, there’s no question… this is a real lawsuit. Some attorneys believe it will be a very difficult case to win, while others think it’s quite viable and likely to settle. I can see both sides of that argument. On one hand, it would seem difficult to prove that Countrywide caused the housing bubble; there were certainly many parties involved and numerous other contributing factors as well. On the other hand, the case has numerous aspects that are unquestionably true and certainly wrong. Then there’s what’s known as “the banker factor.” Actually, I’m making that up, but you know what I mean. The banks aren’t going to lay down for this as it would open an enormous can of litigating worms… so they have to fight… or is there no percentage in that either? Well, now you’ve seen first hand why I chose not to go to law school. I really haven’t the foggiest idea what’s going to happen… and neither does anyone else. 1. Original complaint was filed in March 2009. 2. First amended complaint was in June of 2009. 3. Second amended complaint March 2010. 4. 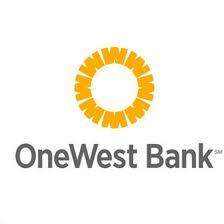 August 2010: the banks try to remove the case to federal court, but fail. 5. Third amended complaint was filed July 7, 2010. 6. The defendant banksters have demurred again, but it doesn’t appear that the demurs filed in December have been heard. 7. Status conference set for Thursday, February 3rd, 2011. 8. There is a hearing date scheduled for March 29, 2011, but it’s not clear to me what will be happening at that hearing. So, this is their third “amended complaint.” That means the defendants… the banks… have demurred twice. That means that the banks have come to court claiming that the mass joinder plaintiffs don’t state a cause of action… or in other words saying the plaintiffs have no case… and the court has allowed the plaintiffs to amend the complaint three times so far. Like almost everything in the law, I guess you could read that a couple of different ways. On one hand it seems positive… the case brought by the mass joinder plaintiffs has not been tossed out by the judge yet. That’s good, right? On the other hand… the court could “sustain the demur without leave to amend,” in which case the mass joinder suit would be over and done. And that’s why litigating is always a gamble, and by no means a sure thing. Here’s an oversimplified look at the mass joinder’s causes of action. First Cause of Action… Fraudulent Concealment – This is saying that the bank was hiding things from the borrowers. Second Cause of Action… Intentional Misrepresentation – This is lying when you knew you were lying. In other words, you knew an appraisal was wrong… it came in at $500,000, but you knew it was worth $400,000 and you passed it off anyway. Third Cause of Action… Negligent Misrepresentation – This is like saying that you’re lying but it wasn’t intentional. Let’s say that you ordered an appraisal but never really looked at the appraisal to make sure it was done correctly. You include this cause of action in case the conduct doesn’t rise to the level of intentional misrepresentation, and perhaps because some insurance policies don’t cover intentional acts. Fourth Cause if Action… Invasion of Constitutional Right to Privacy – This is saying that the banks disclosed personal information… perhaps when selling the loans to another investor. Fifth Cause of Action… Violation of California Financial Information Privacy Act – See above or read the actual complaint. Sixth Cause of Action… Civil Code 2923.5 – Defendants are prohibited by statute from recording a Notice of Default against the primary residential property of any Californian without first making contact with that person as required under § 2923.5 and then interacting with that person in the manner set forth in detail under § 2923.5. Nothing special here, but its been upheld by other courts in California. Eighth Cause of Action… Unfair Competition Against All Defendants – Defendants’ actions in implementing and perpetrating their fraudulent scheme of inducing Plaintiffs to accept mortgages for which they were not qualified based on inflated property valuations and undisclosed disregard of their own underwriting standards and the sale of overpriced collateralized mortgage pools, all the while knowing that the plan would crash and burn, taking the Plaintiffs down and costing them the equity in their homes and other damages, violates numerous federal and state statutes and common law protections enacted for consumer protection, privacy, trade disclosure, and fair trade and commerce. “I know of no outbound calling. If asked, I would not approve of that. I knew that some law firms wanted to send out mailers. I have insisted that everyone comply with State Bar rules and that anything with my name must be pre-approved. 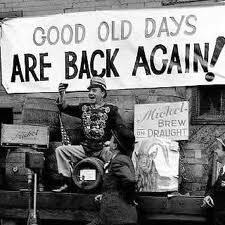 As of this date, no one has submitted any proposed marketing for my review. That piece was done without my knowledge. With that said I was going to apply to the Bar to take over the cases if they would relinquish the 1.6 to pay for the work to be done for the victims. Before making such a wild leap into this caos I called my State bar lawyer. He informed me that I should not even go close to these cases that all lawyers involved will be DISBARRED. I said wow but what about the merits of the cases the judge in the case had already overruled the demur as to some of the causes of action. The State Bar (by their actions in not finding a lawyer to protect the victims) is recommending that case be dismissed the Attorney General IS NOT PURSUING THE RIGHTS OF THE VICTIMS . I persisted with my lawyer. To which he exclaimed ” DON’T YOU GET IT MCCANDLESS THE AG AND THE BAR ARE WORKING FOR THE BANKS”. 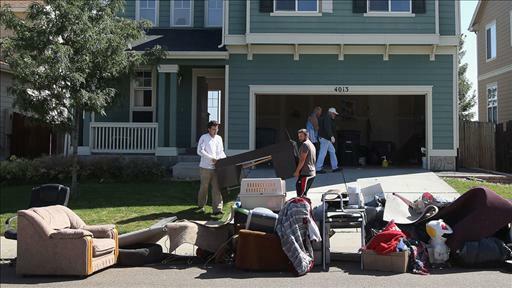 Three Hundred Billion to compensate homeownners “really?” no probably 50 bucks a case!!! Millions of current and former homeowners will have a chance to get their foreclosure cases examined to determine whether they should be compensated for banks’ mistakes, under a wide-ranging review being planned by federal regulators. Ssoo let’s see 6 Million foreclosures 50,000.00 each that’s 300 BILLION I think they are going to sweep this under the carpet just like the Countrywide deal and say they fixed it. I believe that the only way to get compensated is through litigation although this is a great admission and could be used in future litigation. 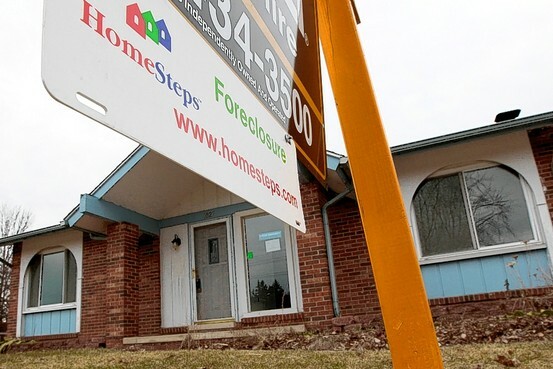 The review process, which could be unveiled in the next few weeks, will be open to borrowers who were in some stage of foreclosure in 2009 or 2010. Estimates prepared by the Office of the Comptroller of the Currency, which will oversee the review, indicate that 4.5 million borrowers could be eligible for review. John Walsh, acting head of the OCC, unveiled some aspects of the plan in a speech last month to banking executives, when he said the agency was exploring “the best means of ensuring that injured homeowners had the opportunity to seek relief,” when they were harmed by lender improprieties. The process will include a broad public-outreach campaign, including direct mail to eligible borrowers and a single website and toll-free number. The reviews will be conducted by independent third-party companies that were hired earlier this year by 14 banks that signed consent orders in April with the OCC and the Federal Reserve. The regulators had to sign off on the selection of these companies. “It’s a substantial undertaking at great expense to the banks,” said Tim Rood, a partner at Collingwood Group, a housing-finance consulting firm. Borrowers who are determined to have suffered “financial injury” could be eligible for compensation that would be determined on a case-by-case basis by the third-party firms. Borrowers will have to request reviews before a cutoff date, likely to fall near the end of the first quarter of 2012. It hasn’t been determined whether borrowers that accept restitution would have to agree to surrender related legal claims. Regulators declined to provide estimates of the amount of money that injured borrowers might receive or how much the program might cost lenders. 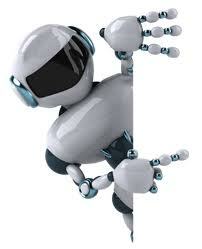 However, few if any borrowers are expected to have foreclosures overturned. The review process is one of several continuing efforts to address disclosures that surfaced a year ago over banks’ use of “robo-signers,” bank employees who signed off on huge numbers of legal foreclosure filings daily and falsely claimed in the documents to have personally reviewed each case. 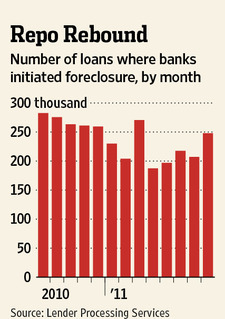 The disclosures prompted some judges to question the veracity of other bank foreclosure practices. 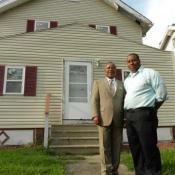 The process is separate from the months-long talks between federal agencies, state attorneys general and banks to reach a multibillion-dollar settlement over foreclosure abuses. That effort took a big step backwards Friday, when California Attorney General Kamala D. Harris called the deal “inadequate” and pulled out of the settlement talks. The loss of California could cripple any settlement because the state has among the nation’s highest volumes of foreclosures. Banks are less likely to agree to the $25 billion price tag pushed by federal and state officials without the participation of California. 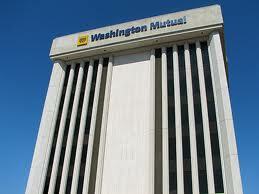 Banks, federal officials and state attorneys general are set to resume meetings in Washington on Tuesday. Representatives for both sides said they still hope to reach an agreement despite Friday’s setback. The banks “remain committed to the dialogue and continue to believe that a global settlement would be an effective means of supporting the recovery of the housing market and helping to strengthen the economy,” said one person familiar with the banks’ thinking. Bloomberg News Borrowers who suffered ‘financial injury’ could be eligible for compensation. Here, a foreclosure sign hangs in front of a house in Canton, Mich., in March. In the OCC review process, financial injury could cover a wide range of misrepresentations or errors committed by mortgage companies, according to people familiar with the process. Banks could be liable if they miscalculated mortgage payments or applied impermissible fees or penalties. A handful of borrowers have alleged that mortgage-servicing companies, for example, improperly placed expensive insurance coverage onto their mortgage, pushing them into default and preventing them from becoming current with their payments. Borrowers may be able to receive compensation if the review finds that the bank moved a borrower to foreclosure while the bank was receiving partial payments as part of a trial or permanent loan modification. Compensation might also be due if borrowers provide evidence that they provided the necessary documentation required to qualify for a modification but were denied the modification. Since 2008, Fannie has required its mortgage servicers to use designated law firms that are part of its “retained attorney network.” The network arrangement allows Fannie to negotiate discounted rates with approved firms, which in turn can lock in business from the nation’s largest mortgage investor. FHFA staff subsequently informed senior Fannie officials that its attorneys were “increasingly unprepared when they enter the courtroom,” leading to a larger backlog of foreclosures. 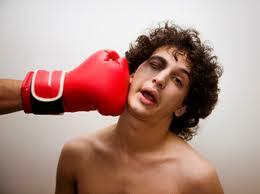 Fannie Mae declined to comment on the report. 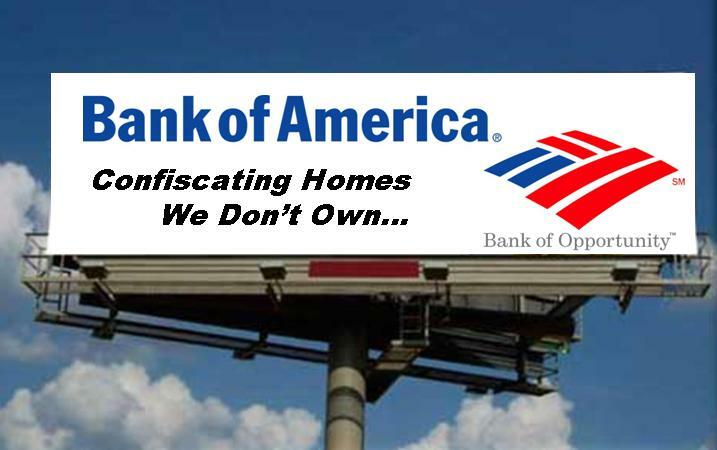 SAY NO TO LENDERS FRAUD! 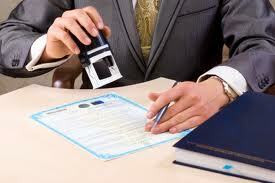 Is the notary responsible or at least negligent or at least negligent per se !!! Ask for a 402 hearing and then dissmiss the eviction !!! Goldman Sachs must investigate questionable lending and foreclosure practices in its mortgage unit, Fed says. Was president of LPS’ Loan Portfolio Solutions division just let go? Finality versus good and evil. In the battlefield it isn’t about good and evil. It is about winner and losers. In military battles around the world many battles have been one by the worst tyrants imaginable. Just because you are right, just because the banks did bad things, just because they have no right to do what they are doing, doesn’t mean you will win. You might if you do it right, but you are up against a superior army with a dubious judge looking on thinking that this deadbeat borrower wants to get out of paying. 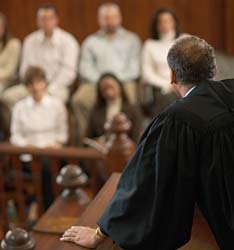 The court system is there to mediate disputes and bring them to a conclusion. Once a matter is decided they don’t want it to be easy to reopen a bankruptcy or issues that have already been litigated. The court presumably wants justice to prevail, but it also wants to end the dispute for better or for worse. Otherwise NOTHING would end. Everyone who lost would come in with some excuse to have another trial. So you need to show fundamental error, gross injustice or an error that causes more problems that it solves. These are the same issues BEFORE the matter is decided in court. 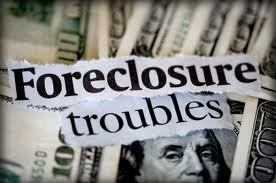 Foreclosures are viewed as a clerical act or ministerial act. The outcome is generally viewed as inevitable. 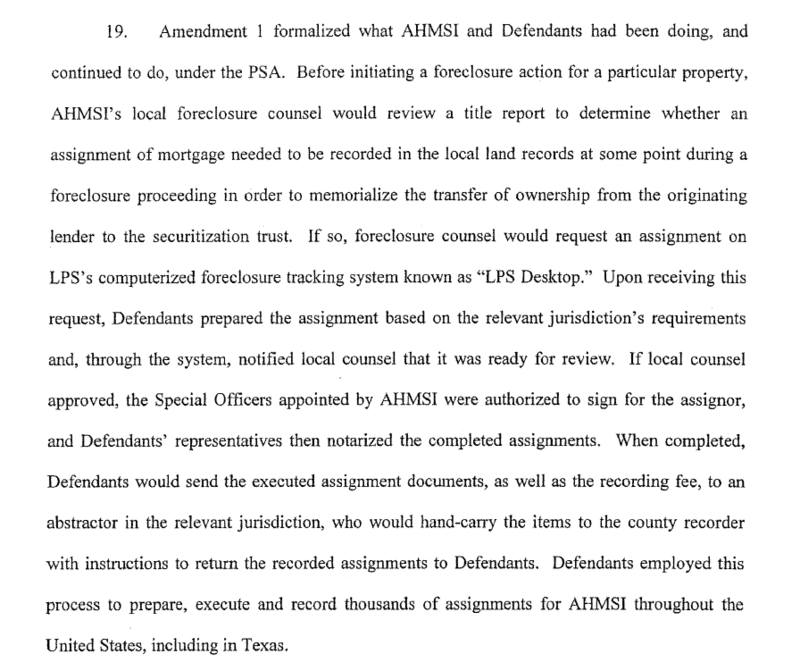 And where the homeowner already admits the loan exists (a mistake), that the lien is exists and was properly filed and executed (a mistake) and admits that he didn’t make payments — he is admitting something he doesn’t even know is true — that there were payments due and he didn’t make them, which by definition puts him in default. It’s not true that the homeowner would even know if the payment is due because the banks refuse to provide any accounting on the third party payments from bailout, insurance CDS, and credit enhancement. 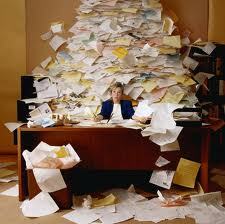 That’s why you need reports on title, securitization, forensic reviews for TILA compliance and loan level accounting. 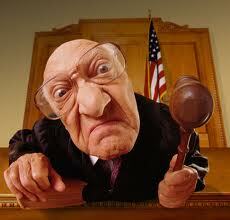 If the Judges stuck to the law, they would require the proof first from the banks, but they don’t. They put the burden on the borrowers —who are the only ones who have the least information and the least access to information — to essentially make the case for the banks and then disprove it. The borrowers are litigating against themselves. In the battlefield it isn’t about good and evil, it is about winners and losers. Name calling and vague accusations won’t cut it. 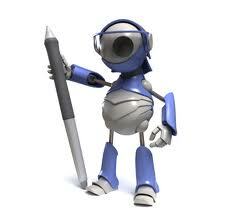 Sure you want to use the words surrogate signing, robo-signing, forgery, fabrication and misrepresentation. You also want to show that the court’s action would or did cloud title in a way that cannot be repaired without a decision on the question of whether the lien was perfected and whether the banks should be able to say they transferred bad loans to investors who don’t want them — just so they can foreclose. But you need some proffers of real evidence — reports, exhibits and opinions from experts that will show that there is a real problem here and that this case has not been heard on the merits because of an unfair presumption: the presumption is that just because a bank’s lawyer says it in court, it must be true. Check with the notary licensing boards, and see if the notaries on their documents have been disciplined and if not, file a grievance if you have grounds. Once you have that, maybe you have a grievance against the lawyers. After that maybe you have a lawsuit against the banks and their lawyers. But the primary way to control the narrative or at least trip up the narrative of the banks is to object on the basis that counsel for the bank is referring to things not in the record. That is simple and the judge can understand that. Don’t rely on name-calling, rely on the simplest legal requirements that you can find that have been violated. Was the lien perfected? If the record shows that others were involved in the original transaction with the borrowers at the inception of the deal, then you might be able to show that there were only nominees instead of real parties in interest named on the note and mortgage. Without disclosure of the principal, the lien is not perfected because the world doesn’t know who to go to for a satisfaction of that lien. If you know the other parties involved were part of a securitization scheme, you should say that — these parties can only be claiming an interest by virtue of a pooling and servicing agreement. And then make the point that they are only now trying to transfer what they are calling a bad loan into the pool that the investors bought — which is expressly prohibited for multiple reasons in the PSA. This is impersonation of the investor because the investors don’t want to come forward and get countersued for the bad and illegal lending practices that were used in getting the borrower’s signature. Point out that the auction of the property was improperly conducted where you can show that to be the case. 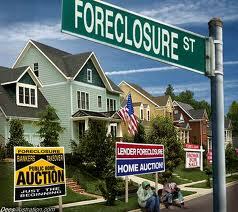 Nearly all of the 5 million foreclosures were allowed to be conducted with a single bid from a non-creditor. If you are not a creditor you must bid cash, put up a portion before you bid, and then pay the balance usually within 24-72 hours. But instead they pretended to be the creditor when their own documents show they were supposed to be representing the investors who were not part of the lawsuit nor the judgment. SO they didn’t pay cash and they didn’t tender the note. 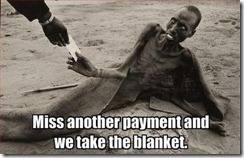 THEY PAID NOTHING. In Florida the original note must actually be filed with the court to make sure that the matter is actually concluded. There is a whole ripe area of inquiry of inspecting the so-called original notes and bringing to the attention the fraud upon the court in submitting a false original. 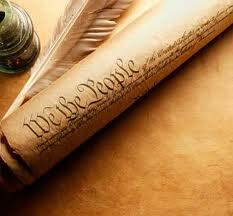 It invalidates the sale, by operation of law.